Discussion in 'NVR's, DVR's & Computers' started by aesterling, Feb 16, 2019. I'm trying to determine why my cameras' video occasionally freezes/drops frames like in these two examples, both on the NVR recordings and Blue Iris recordings. If I unplug one of the cameras, bypass the NVR, use a PoE injector, put the camera on my regular network, and then ping the camera I get normal 2-3ms times. It also appears to fix the video-freezing problem in Blue Iris. Obviously, I could buy a PoE switch and bypass the NVR, but I'd love to get it working with existing hardware. Thanks in advance! A long shot - for no real technical reason - try adding 192.168.254.1 as the default gateway for one of the cameras, see if the ping times change. Though I suspect that treating the NVR PoE ports as a regular switch is a bit optimistic - it may be that the inter-POE-port traffic is being handled by the NVR kernel as opposed to switch hardware. aesterling and fenderman like this. Move the cameras to a Poe switch. Then record them on bi and the NVR. Passing the video through the NVR is a bad idea. Make sure none of the camera traffic moves through the router. I hoped to avoid buying more hardware but I know a PoE switch will be worth the stability it provides. so it helps a little to set the default gateway on one cam. 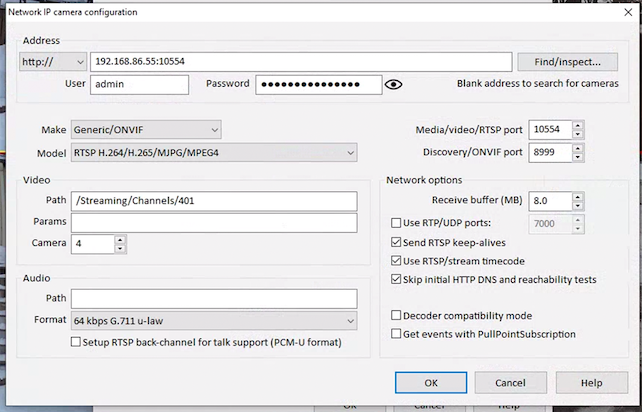 please try setting ALL your cams to use the NVR's IP as the default gateway. 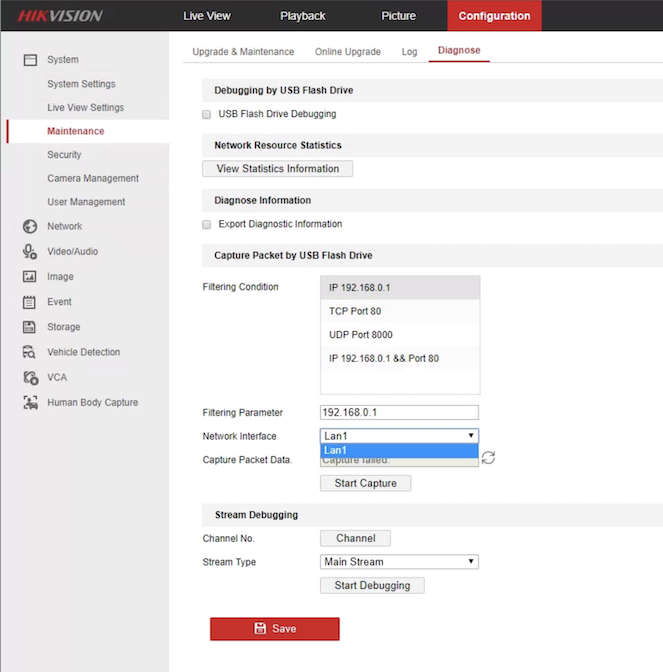 Is your BI pulling streams from the NVR's virtual host ports? pozzello, thanks! I only have two cams set up on the NVR currently and now filled in the default gateway field on each to 192.168.254.1. Interestingly, I left a ping running to one cam while I rebooted the other and saw the ping time drop from 150ms down to <1ms. After both were back up, ping time is still erratic jumping from 2ms up to 200ms and back. The second cam has noticeably slower ping times (and slower web interface) so I could spend more time looking into that camera. No, BI isn't pulling streams from the NVR's virtual host ports but the feature IS enabled on the NVR. (No improvement when I disable it, btw.) 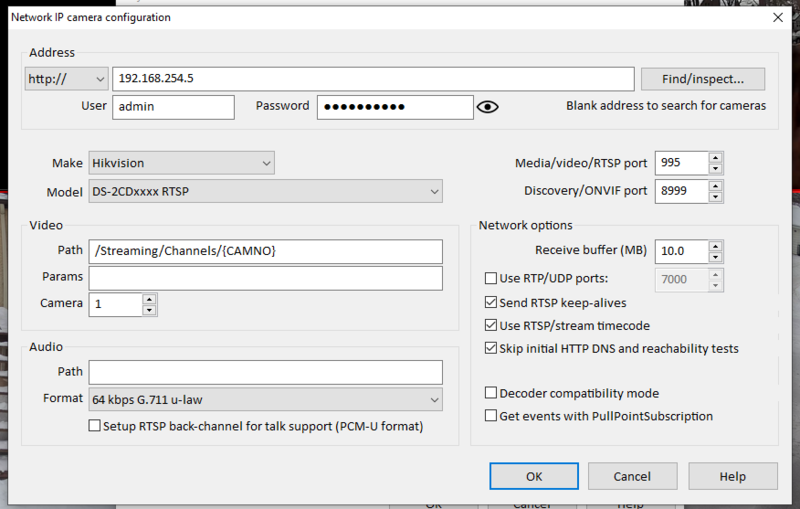 I can't get BI to load that stream even though it plays fine in VLC using this URL rtsp://admin:myPW@192.168.86.55:10554/Streaming/Channels/401. 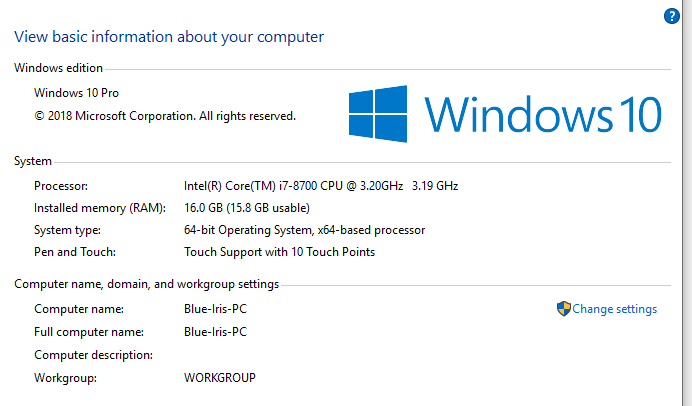 With the config shown below, BI displays a full-res still from the camera every few minutes, then says no signal, then an updated still again. But I assume I likely have something configured incorrectly in BI. 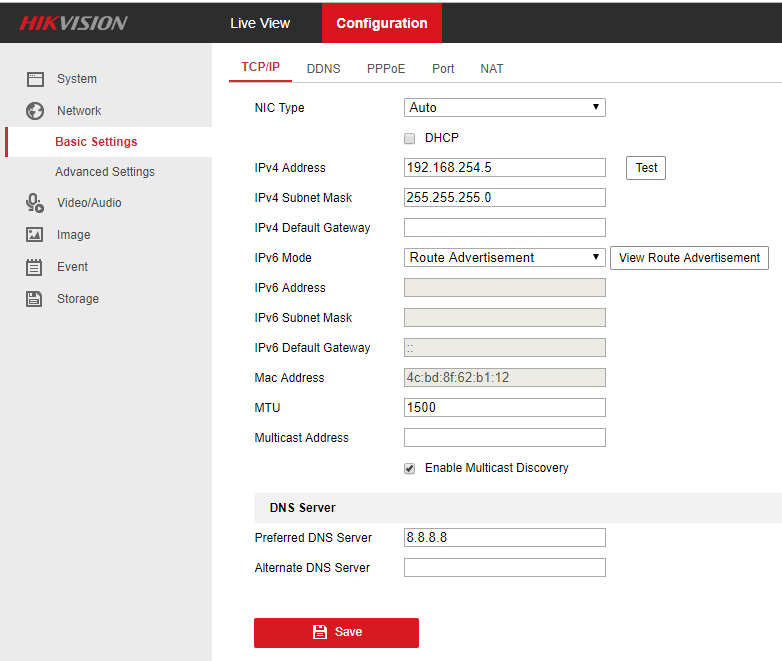 You mentioned packet captures on the PoE switch and it looks like this page on NVR's webpage has the option, although I haven't used it before. Despite all this, everything is working great 90% of the time. I have smooth, clear video in BI and the NVR but only occasionally does one cam or the other freeze for a couple seconds like in the example videos above. It usually happens when there's motion in the frame. 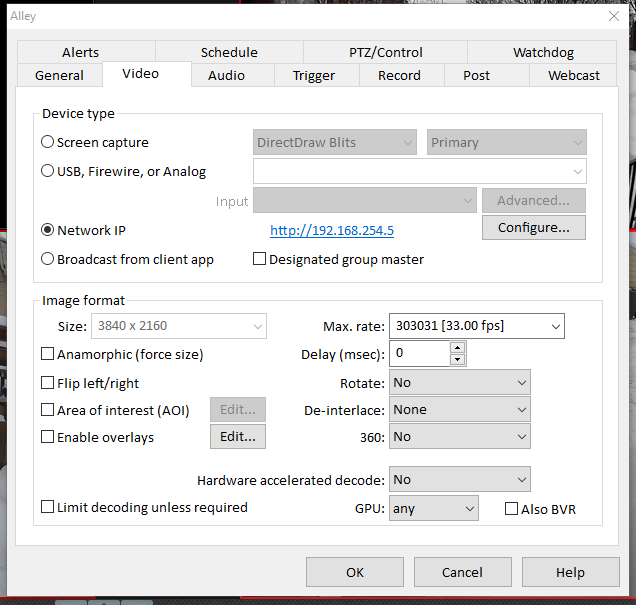 I'd spend my time troubleshooting codec, bitrate, etc settings except the ping results caught my attention first and problems went away when I bypassed the NVR. edit: i see you have 8MP Hik turret cams. 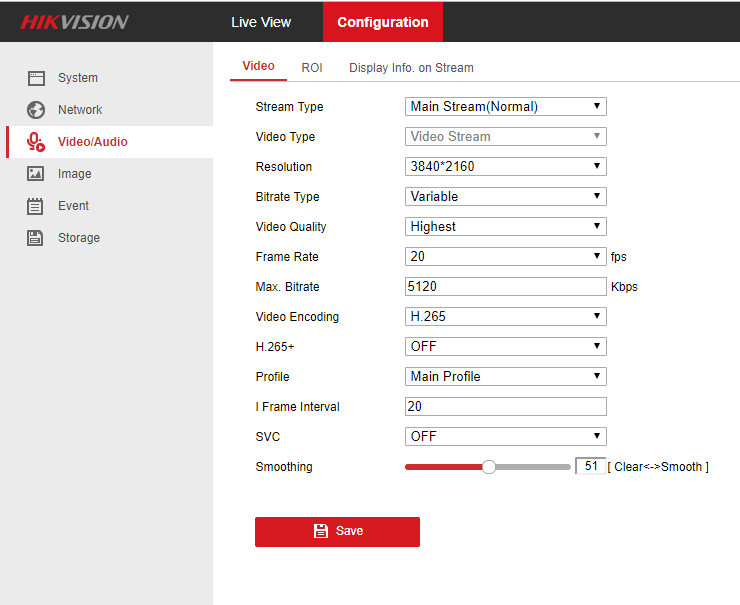 maybe show us the video config page for one of the cams? Thanks again! I'm running the cams at full res and frame rate, which obviously isn't necessary, but I'd love to continue if I can solve the occasional freezing issue. I might just need to buy a PoE switch since bypassing the NVR appeared to fix the problem during testing. cut the alley and driveway cameras to 12 frames and set the iframe to 12 also. Not sure that this will improve much. But there is not a need for more than 15 frames per second on a security system. Set the video quality to medium. Set receive buffer to 25 MB on the 8 mp cameras. You are trying to push a lot for bits through the NVR with 8 mp cameras. Thanks, SouthernYankee! You're definitely right I'll make these changes and see how it behaves for a while. I may re-terminate the cat6 to the alley cam as well, just to rule out any problems there. That said, the cable tester showed it was fine at installation.